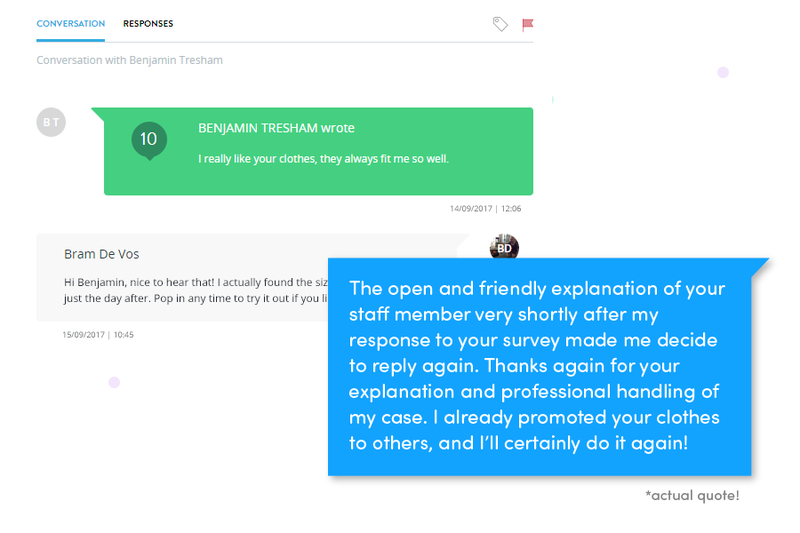 Each piece of customer feedback presents you with a unique opportunity to improve your overall customer experience. 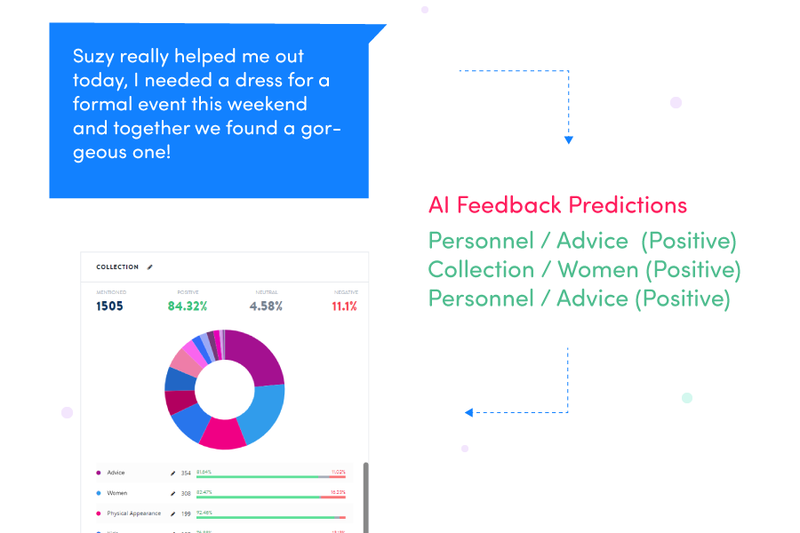 Through our conversational survey, customers can deliver their stories, which our Artificial Intelligence turns into meaningful insights. In other words, more and sustainable growth is already existing within your customer base. A lot of the time companies misjudge what their customers really expect. Hello Customer can help you create impact by closing the delivery gap. Understand your customers' wants and needs better. By really understanding what drives (dis)satisfaction you can take action and set the right priorities from a customer's perspective. Solve customer issues quickly and correctly, increasing customer retention. If you can successfully solve problems for dissatisfied customers, they could very well become your best ambassadors. Engage your happy customers to turn them into brand ambassors. This is crucial, seeing that only 30% of your promoters will actually recommend you to other people. In other words, Hello Customer can help you turn customers into fans. Getting back to your customers is crucial. They will have the feeling that their feedback had an actual impact. 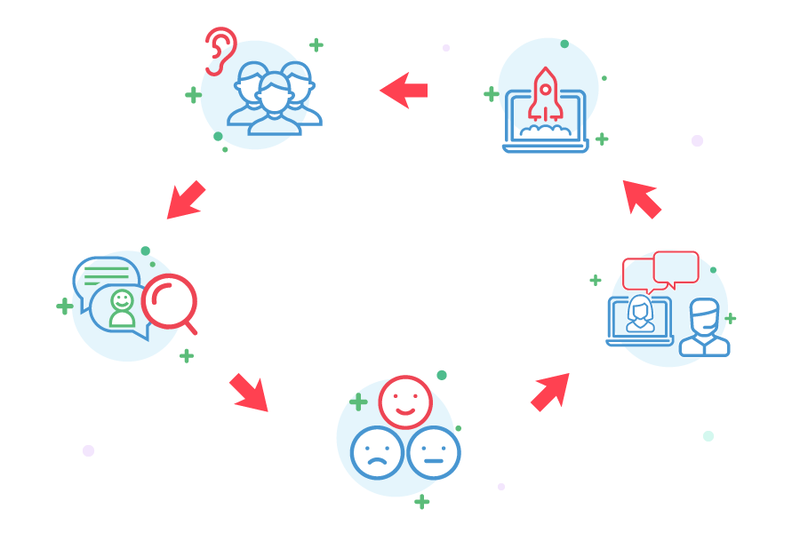 With our conversation manager it's easier than ever to send a simple thank you after a positive feedback, or to find out what went wrong after a negative one. Simply put, the impact of customer feedback can in no way be overrated for the overall name and game of your company. Want to know how to create customer centricity in your company?